Throughout the years, the piano has remained one of the most popular instruments. This is because of its manufacturing process. Some of the best companies in the world are making pianos. Their reputation is very good. When you hear their name, you immediately associate them with quality and consistency. But the interesting thing is that, in recent decades, the situation in the piano-making market has changed drastically. The world is now more opened, and some new companies have also entered the race. 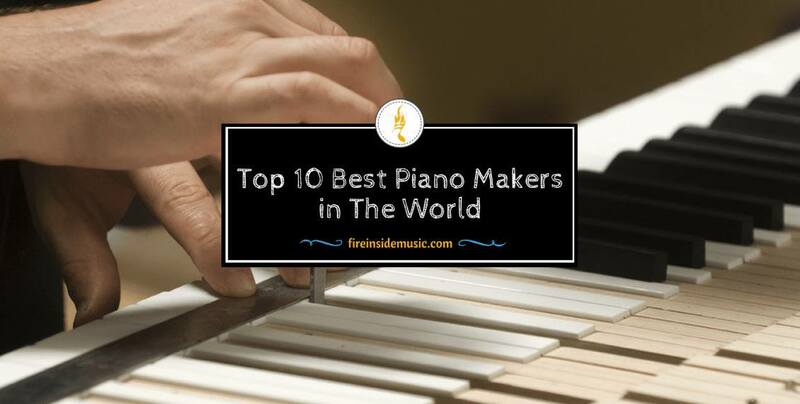 In this article, we will list the top 10 best piano makers in the world. Of course, you have to be aware that there is no “absolute winner” in this category. The explanation for this is quite simple – art cannot be measured in a scientific way. There are multiple factors that contribute to the quality of a piano brand: reputation, consistency, quality of sound, reliability, etc. Depending on the pianist, a certain piano maker can be good or less good. Therefore, don’t look for a definitive method for determining the best piano maker, because there isn’t one. So, without further ado, let’s begin. Yamaha is one of the most recognizable brands in the music industry. It has been making a variety of musical instruments throughout the years. It’s very well known for its digital keyboards and pianos. The company has been working for a long time, but it became known as “Yamaha” in 1987. Yamaha offers all kinds of pianos, at competitive prices. This piano maker made our list for obvious reasons: it has a lot to offer, and it takes up a large portion of the piano market. However, when it comes to overall quality – it should be noted that Yamaha is definitely not at the top. They have many affordable pianos, which are quite good, but there is also a downside to their models. Compared to handcrafted pianos from the United States, or some European countries, Yamaha’s pianos have a shorter lifespan. Oftentimes, this is off-putting to many professional pianists. Mind you, Yamaha is a great piano maker, but it’s simply not in the same league as the oldest players in the market. Their pianos are pretty consistent in terms of functionality, and quality of sound. On the other hand, they cannot last as long as more expensive models. Also, it very rarely happens that a Yamaha piano becomes more expensive as time goes by. This company is interesting, because it’s one of the youngest piano makers out there, as it was started in Australia in 1990. Nevertheless, it produces pianos of excellent quality, as it quickly became one of the most sought-after piano makers in the market. Stuart and sons’ pianos are handcrafted, and consistent in quality. These pianos can be quite expensive, and the reason is that the company is very strict when it comes to manufacturing them. They haven’t entered mass production, and until now, little short of 60 pianos have been produced. On the other hand, in terms of their built and overall quality – they are worth every penny. 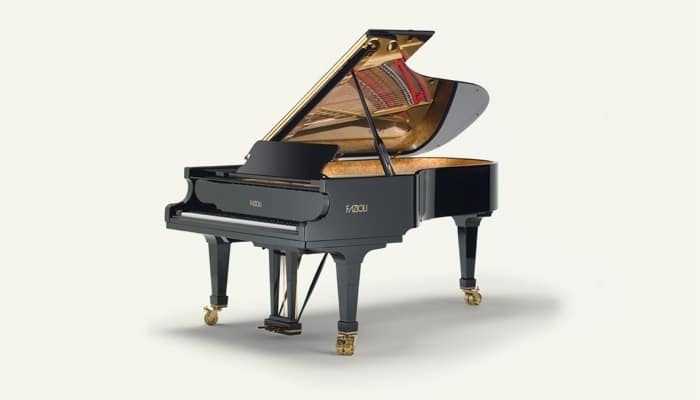 This pianos maker has two models in its production – a concert grand piano and a studio grand piano, and they are available in all kinds of timbers. They are beautiful and excellent-sounding. Another great feature is that these pianos have more than 88 keys, and can thus reach higher pitches compared to other pianos. This is one of the best-known piano makers from the United States. The company was formed in 1854 in the state of Massachusetts, by a pianist Henry Mason and an inventor Emmons Hamlin. From the early beginning, the company strived to become the leader in the field. Very soon, it found its way to customers, reaching a lot of popularity. In 1867, the company won a prize at the Paris Exhibition, but it was an organ, not a piano. However, a couple of years later, Mason and Hamlin decided to focus on piano-making. Because of this, they managed to become one of the leading piano-making companies in the world. Over the years, they lost a bit of their initial magic, but in 1996 they were bought by another company called Piano Disc, but they are working under their original company name. These pianos are pretty costly, but their quality of build is on a high level. The sound is consistent, and they are as reliable as can be. This is a Japanese company working since 1927. From the moment they began producing, the people from Kawai had a clear goal – to manufacture pianos of exquisite quality. And they turned this vision into reality. 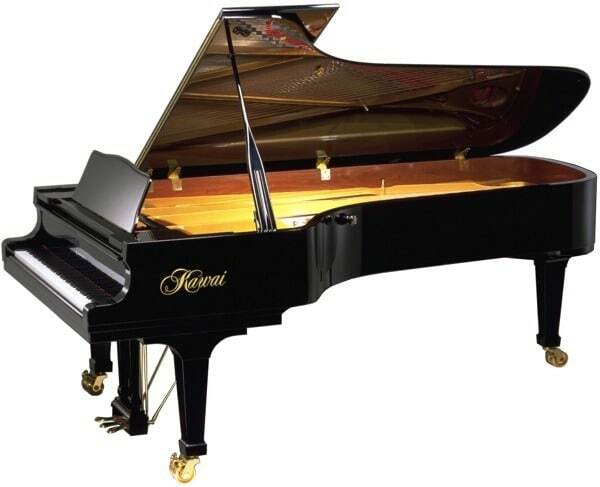 Kawai pianos are now widely considered as some of the best pianos in the world. What helps Kawai pianos stand out from the crowd are the materials used in the production. The secret lies in the wood acquired from a local tree species, found on the island of Hokkaido. The soundboards on Kawai pianos are made of this type of tree, which gives them high quality and uniqueness. Another secret of success is controlled production; no more than 250 Kawai pianos are produced each year. 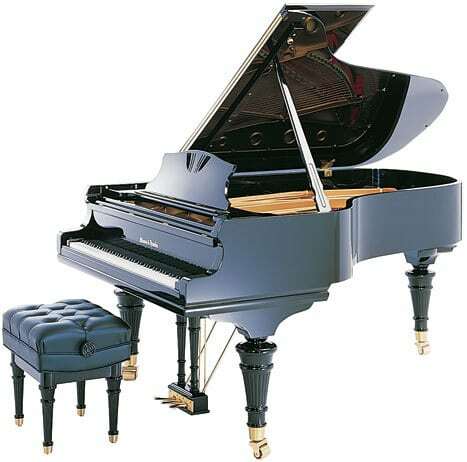 This gives the company enough time to put their best effort into producing high-quality pianos. Because of this, Kawai is established as one of the leading piano makers. Casio vs Yamaha Keyboard Comparison: Which Brand Is Better? This is also one of the more recent piano makers, but it’s definitely one of the best. The company was started in 1981, by a concert pianist Paulo Fazioli, who also gave the company its name. Fazioli had everything a person needed to become a successful piano maker. He was an established pianist, but he also had interesting family background. His father was a cabinet maker, and this helped young Fazioli start the company. And the goal Fazioli placed for himself wasn’t an easy one, as he wanted to make of the best, if not the best piano in the world. It’s impossible to decide which piano maker is the best. However, it’s safe to say that Fazioli is among the greatest pianos ever produced. Fazioli now makes around 120 pianos every year, which is why their pianos are pretty expensive. On the other hand, they sound fantastic, and they have rightly earned their reputation. Fazioli pianos are continuously being improved, as a lot of experts are involved in the production process, keeping the original goal alive. This is a German company, and they have been producing pianos of exquisite quality since 1853. It was started by Carl Bechstein, and his goal was to make a piano that would fit the needs of different kinds of playing, from ferocious and fast to smooth and gentle. The situation which seriously changed the company’s reputation was the opening of their store in London in 1885. Bechstein spent more than $20 million on introducing technological advancements and latest designs. 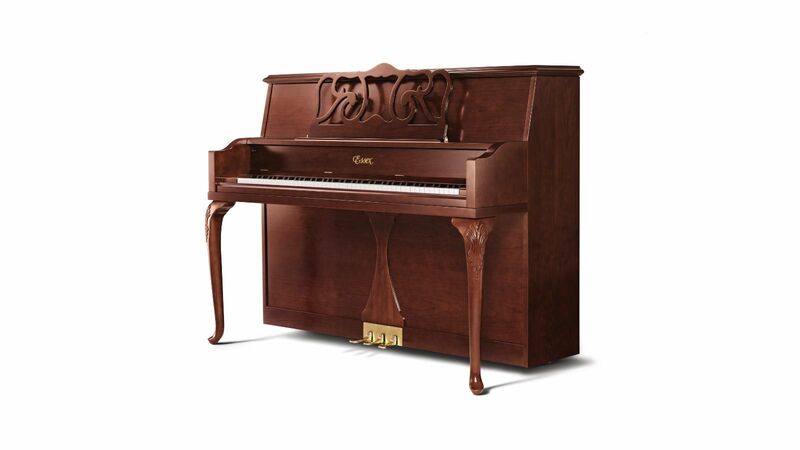 Therefore, the brand remains in the forefront of the piano-making industry. 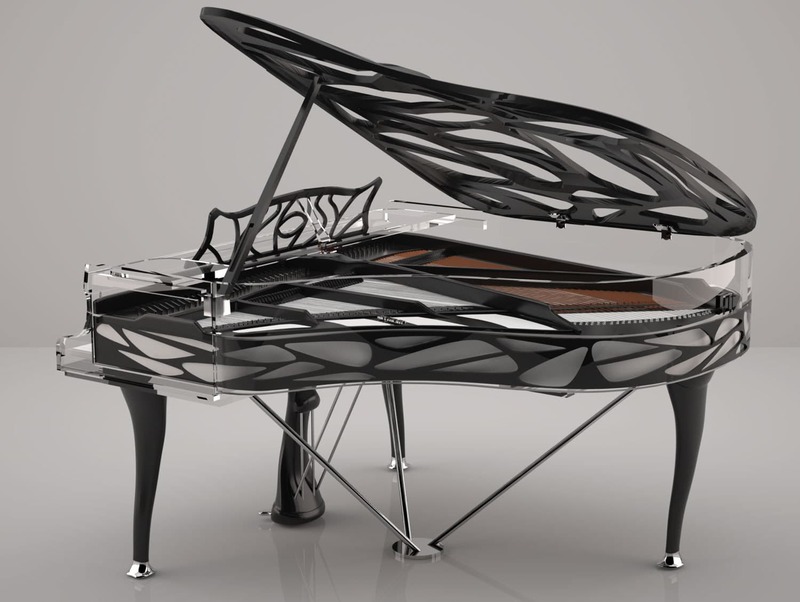 Their design and physical characteristics of every single piano they produce are awe-inspiring. Bechstein pianos have been playing favorites of many musicians and composers, from Beatles to Claude Debussey. This composer was so fascinated with the sound the Bechstein produces that he claimed it’s the only type of piano music should be written for. This piano maker is one of the oldest in the world, as it was started in 1828 in Vienna. It seems that, from the very beginning, the company was destined for achieving tremendous success and wide acclaim. Only two years after the company officially started production, the Emperor of Austria gave the owner of the company the title “official piano maker”. This was quite an honor in those days. One of the most important improvements that came from this company is the extension of the original keyboard. From the original 88 keys – it went to 97 keys. This introduction broadened the piano to eight octaves, which was very beneficial for playing certain compositions. 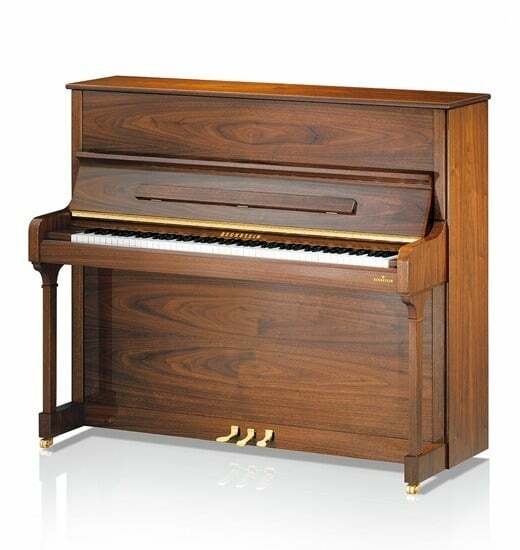 Once this extension to 97 keys was introduced, Bösendorfer became one of the most sough-after piano brands of all time. The company is not “greedy” at all; they produce nothing but the best. Their pianos are excellent-sounding. They all have amazing visual appeal to them, but not many of them are produced in one year. The number of produced pianos never goes above a couple of hundreds, as every single one of them is handmade, during a meticulous production process. This is an American piano maker, and it was started in 1862, by a piano teacher. It soon developed into a very successful piano maker. The company managers claimed they will be able to make the best piano that could possibly be built. In 2008, the company stopped with domestic production and moved to China, but the Baldwin brand is still going strong. Throughout the years, many famous artists have praised the quality of Baldwin pianos, from the Dave Brubeck to Miley Cyrus. Most experts in the field agree that the key of Baldwin’s success lies in the technological innovations of piano-making. A lot of though is being given to the construction of sounding boards, bridges, strings, etc. 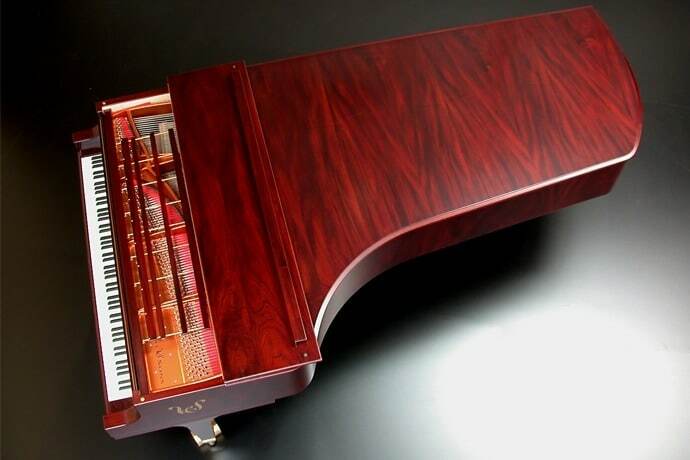 This piano maker also comes from Germany. The company was started in the town of Leipzig in 1853, by Julius Blüthner. The interesting thing is that the company is still governed by the members of the Blüthner family. This piano maker was highly ambitions, and a couple of decades after the company was created, the Blüthner brand was producing several thousand instruments every year. Nevertheless, the quality of these pianos has never been questioned. The biggest setback this piano maker experienced is associated with the Second World War. During the bombings in 1943, the company’s factory was destroyed. It was rebuilt two years later, and the company soon continued with its production. Since its earliest beginnings, Blüthner has been one of the most important piano makers in the world. This piano maker is matched by just a handful of other manufacturers. For its handcrafted pianos of exquisite design, the company received numerous prizes, and to this day – they are at the very peak of piano-making. This is probably the best known piano maker out there. When it comes to high-quality concert pianos, the name of Steinway and sons simply cannot be avoided. And of course, this kind of reputation is absolutely deserved. Heinrich produced close to 500 instruments, and became quite an expert in the field. But the big break for him actually came when he decided to move to America with his family. He eventually came to New York and started what has been known as Steinway and sons. This is definitely one of the most important piano makers of all time. Steinway is revered and celebrated as one of the founders of modern piano-making. They have 127 patents, which prove this brand is the leader in the field. Every Steinway piano is carefully produced; it is handcrafted and supervised by the best experts in the business. What amazes the most is that each of their pianos takes more than one year to make, and it is made by combining over 12,000 parts. The amount of work invested in producing a single Steinway piano is staggering, but it is precisely because of this why this company is legendary. Their craftsmen definitely take their time when it comes to production, but the end result is nothing short of amazing.